Yoga and Ayurveda have led parallel lives in India throughout the millennia, rather than intertwined and interacted. A little like Kahlil Gibran’s image of marriage as two trees growing side by side, not one tree. Ayurveda is the traditional Indian medical system. Its sole aim is physical and mental well-being in this life. It begins by classifying people according to the three doshas, Vata (air), Pitta (fire) and Kapha (water). As the authors put it, “Dosha means ‘what causes things to spoil’ and relates to the disease-creating potential of the humors. Vata means ‘wind’; Pitta means ‘bile’; and Kapha refers to ‘mucus and phlegm.’ Wind, bile and mucus are the three main forms of toxins that cause pain and disease as they accumulate in the body. Wind causes dryness, stiffness, nervousness and debility. Bile, which is a form of fire, causes infection, inflammation, bleeding and fever. Mucus causes congestion, edema and obesity.” There is much more detail in the book, but that sums it up neatly. People are born with one of these doshas prevalent in their constitution, and according to which dosha it is, Ayuveda prescribes an ideal diet and way of life for them. This is not the time to go further into the question of diet and way of life. I will do that when reviewing a couple of the best books on Ayurveda. The book I am considering today, despite the excellent discussion of Ayuveda and the doshas in the opening chapters, is first and foremost a Yoga instruction manual, and a very good one. What we have to understand is that modern Yoga, and not only in the West, has changed its emphasis, grown closer to Ayurveda. When Vyasa, in the 4th century AD, compared and contrasted Yoga and Ayurveda (in his commentary on Patanjali’s Yoga Sutras), he said that in Yoga the disease was existence in this world and the only cure release from the cycle of reincarnation. And that is the point. The traditional Yoga of India is fundamentally life-negating. 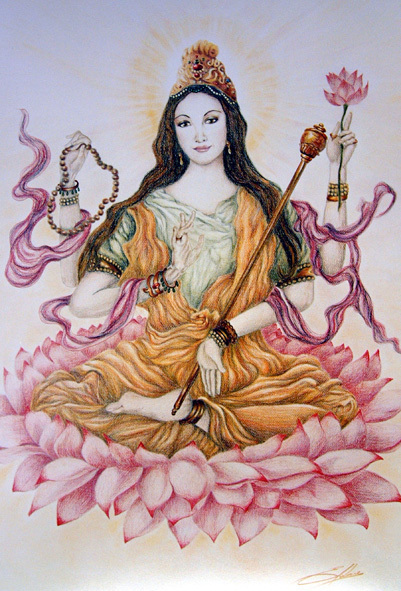 The practice of the yamas and niyamas, pranayama and asanas and mudras, make it possible for one to meditate without distracting physical distress and discomfort (their main purpose) and may also enable one to live longer and in such adverse circumstances as the middle of the jungle or high in the Himalaya. And, yes, we can talk about different yogas such as Bhakti Yoga and Karma Yoga and Jnana Yoga so on, but they have little or nothing to do with the maintenance of good health and the treatment of dis-ease, physical and psychological, that we in the West think of as “Yoga” or “Yoga Therapy”. What the authors do in this book – it is probably the best of Frawley’s many books, and certainly in my view the most useful – is to put the positive, life-sustaining (if not life-affirming) side of Yoga alongside the principles of Ayurveda and come up with a system. First you must establish your prakriti, your constitution, the Dosha that predominates in your make-up. They provide a questionnaire to enable you to do this. Then for each asana he tells you both the effect it has on the Doshas – does it tend to increase or decrease them? – and how you should go about performing the asana, dependent on your constitution. Fantastic. Really. That, and the long-term programs for pacifying each Dosha in the last section of the book, are perhaps the most helpful and comprehensive guide to yoga practice ever produced. But nothing is perfect, and we do quickly run into some problems. First of all, what is known as your vikruti, your doshic balance, or rather imbalance, now (as opposed to your prakriti, your natural/innate doshic constitution) is not really taken into consideration. And it is very important. Which means you need more than this book. Ideally, you should find an expert to diagnose your situation, your vikruti, now. Then you will be able to make full use of this book. Secondly, it is a fact that most people do not fall neatly into one single doshic category. For instance, I am a mixture, physically and psychologically, of Vata and Pitta. A friend of mine is clearly Pitta physically, but just as clearly Vata psychologically. The authors give little or no advice concerning this difficulty. Again, get advice from an expert. A book can only do so much. 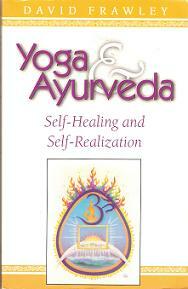 And now I would like to warn you against an earlier book by David Frawley, Yoga & Ayurveda. The same subject, more or less, but not nearly so well done. Instead of focusing on the asanas, as the later book does so well, it tries to cover the whole of Yoga and the whole of Ayurveda. The result is simply a confused and confusing introduction to the two subjects. But there is worse: an underlying attitude throughout the book that I, for one, find extremely irritating. I think it is the Indian pretensions. For much of it is not really Indian at all, it is simply trendy western greenism which, while it may have a lot to be said for it, has absolutely nothing to do with either Yoga or Ayurveda. For instance, in the chapter entitled “The Era of Bad Food” Frawley says: The quality of food in our culture is generally low, as most of us have come to know. [Because we keep being told so by people like him.] […] Poor food quality begins with bad soils, chemical fertilizers, and the use of insecticides and herbicides on the plants, the long term effects of which are unknown. […] On top of this comes the processing of food, which may include irradiation, freezing and canning, along with additives and preservatives of all types. As if this was not enough, our cooking procedures involve microwave ovens, over-cooking, and an excess [sic] use of oils, sugar, salt and spices. Compared with Indian food, Western food is virtually devoid of oils and spices. But that is not the point I wish to make. All this that he finds so bad is how the world is fed. Without the use of fertilizers and pesticides and herbicides it would be hard to feed one billion people, let alone six billion. He says the long term effects of eating such food are unknown. The long term effect of not eating such food is, for 80% of the world’s population, starvation. And another thing. Anyone who says that “the quality of food in our culture is generally low” must have absolutely no notion of what food used to be like before the era of refrigeration and canning and so on. For large parts of the year there was little or no food for anyone, even the rich. People today live longer, and the population is growing, precisely because of the ready availability of good food – yes, good food: meat and fish that does not stink, vegetables that are not rotten, grains that are not mouldy. But, he says, “We can at least get good bottled water.” Really. How many people in India can afford to drink bottled water? How many people in the West can afford to drink bottled water?? At least this shows his view point: that of an extremely wealthy westerner. Thankfully, in the later book, all this nonsense has been avoided.